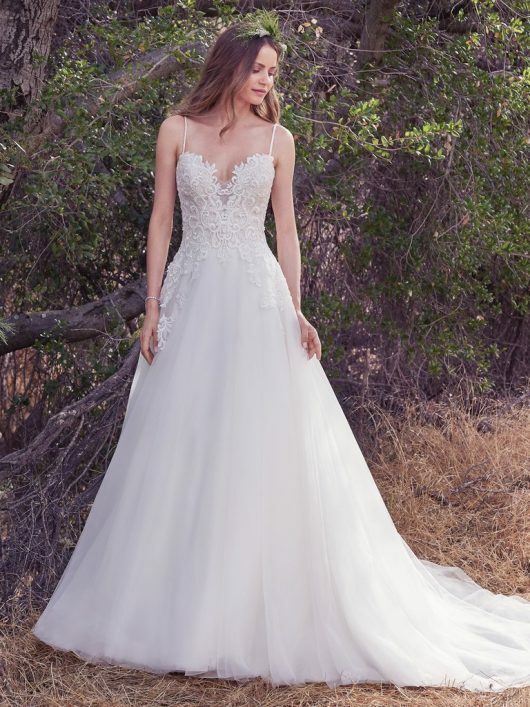 A chic and on-trend style, this tulle A-line wedding gown features a beaded lace bodice and beaded spaghetti straps. An illusion plunging sweetheart neckline adds a hint of alluring glamour. Finished with covered buttons over zipper closure. Tulle and lace veil sold separately.